With a team of highly trained professionals, KLS is fully equipped and manned to assist with a wide variety of project requirements. 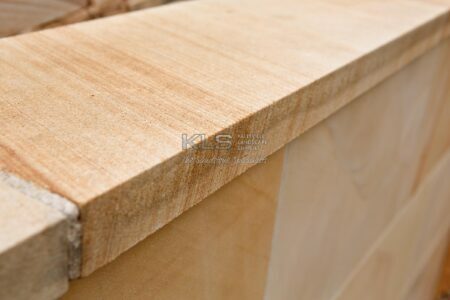 Get in touch with us today to find out how KLS can assist with your next project. I would like to receive emails from KLS. 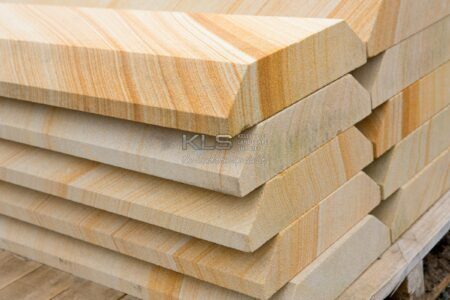 We have our own state of the art sandstone cutting operation on site producing high quality finished sandstone products cut to order and pre-cut standard sized items. 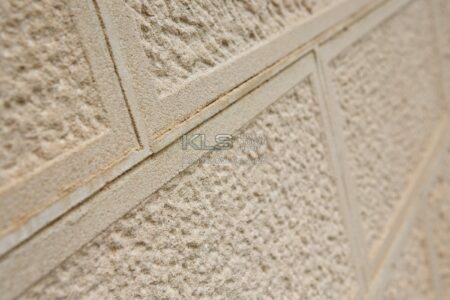 We provide products for both commercial and domestic applications within our factory cutting area equipped with a computerized diamond cutting saw, suitable for all classic stone cutting requirements. 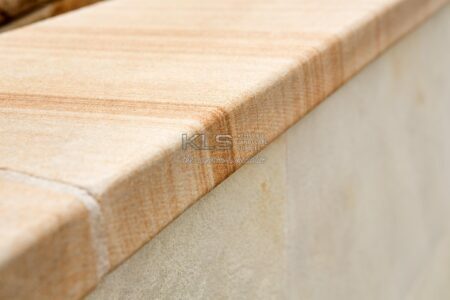 Stone cutting services on offer are; sawn edges, rockfaced edges, bullnose edges, and chamfered or bevelled edges. 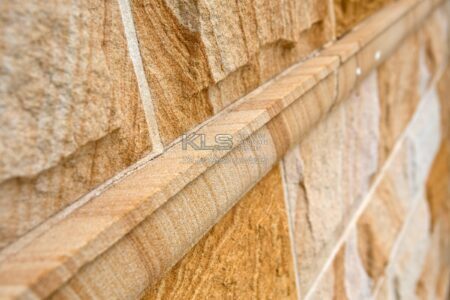 Also sparrow picking by hand, sandblasting, engraving and lettering can be applied to sawn sandstone. 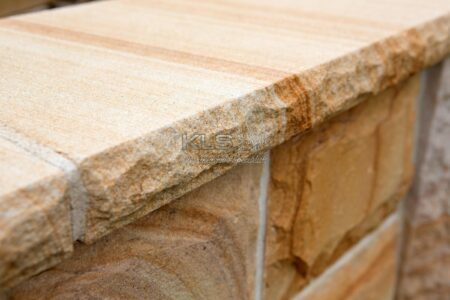 Pyramid pier caps, window sills,and quoins for example, all can be produced on our equipment by our professional staff. With the use of the hydrasplitter we have blocks in stock in various colours and uniform sizes which can be used to create retaining walls, garden edges, grand driveway entrance ways and water features. 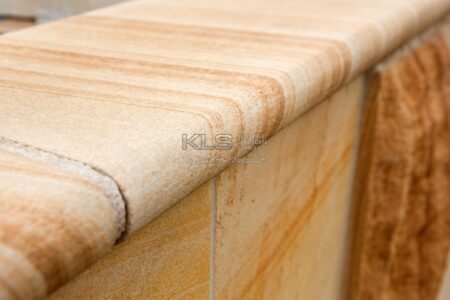 If raw sandstone is what you’re after then we have that too. Random ballast blocks, square ballast blocks and flagging are all in stock, all the time, in various colours. Sign me up for the KLS newsletter!